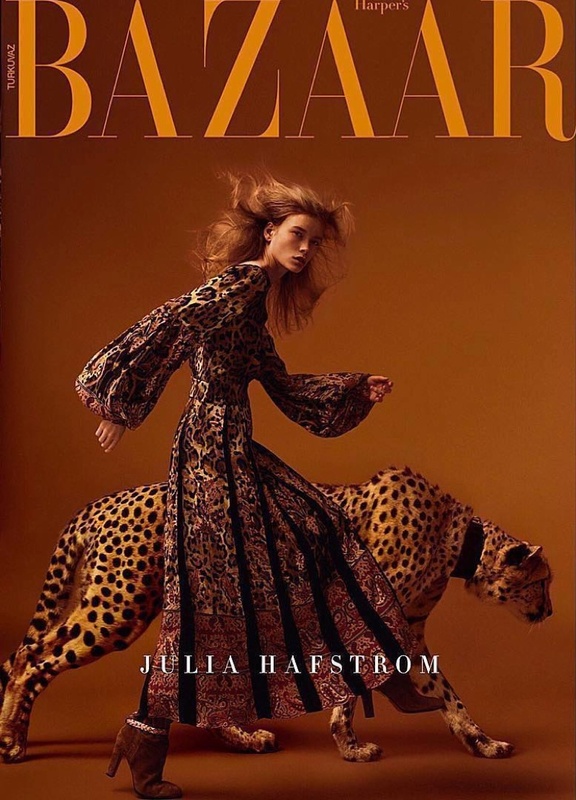 Julia Hafstrom poses with a cheetah on the December 2017 cover of Harper’s Bazaar Turkey. Captured by Kristian Schuller, the Swedish model embraces animal print for the accompanying spread. 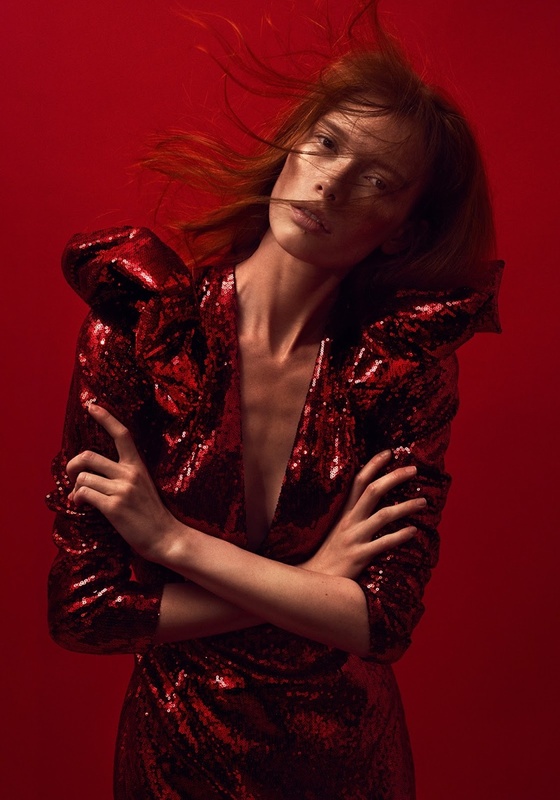 Stylist Sarah Gore Reeves makes sure Julia shines wearing designs from the likes of Prada, Roksanda and Max Mara. From oversized coats to breezy dresses, Julia captivates in each shot.